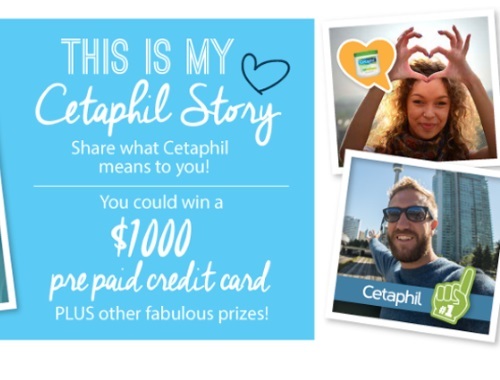 Share what Cetaphil means to you for a chance to win a $1000 pre-paid credit card! The grand prize is a $1000 pre-paid gift card plus $200 in Cetaphil product prizes! Download your entry and share to either Instagram or Twitter with hashtag #MyCetaphilStory to be entered for a chance to win 1 of 4 fabulous weekly bonus prizes. Bonus prizes include: Instax Mini 8 Instant Camera, Nespresso machine, $200 Shoppers Drug Mart gif card, iPad mini (all include 4 Cetaphil products too!). Entry period ends May 29, 2017. The grand prize winner will be selected and announced June 5, 2017.